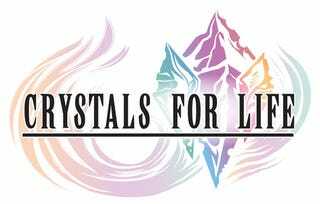 Crystals for Life is a marathon where people run RPG video games exclusively. Starting today (it already started as of this writing) until May 4th, they'll run all sorts of RPGs. Some of the games they'll run are Kingdom Hearts II, Chrono Trigger and Chrono Cross, Legend of Mana, some Final Fantasy games (III, VI, VII and X), Lost Odyssey, some Ys games (1, 3 and Origins), and Mass Effect 1. They do this charity marathon for the Juvenile Diabetes Research Foundation (JDRF in short), an organization that helps fund research on Type 1 diabetes, as well as helps with the treatment and prevention of it.